The Victorian Society's annual list exposes the plight facing Victorian and Edwardian buildings. A35 Devon both ways severe accident, between Hutgate Road and A358. A35 Devon - A35 blocked and slow traffic in both directions between the Hutgate Road junction in Honiton and the A358 junction in Axminster, because of an accident involving a car overturning and hitting a tree. A38 Cornwall eastbound severe accident, from A388 to A3064. A38 Cornwall - The main road is closed, with traffic being routed around the junction and back on again, and slow traffic on A38 The Parkway eastbound from Carkeel Roundabout to Weston Mill, because of accident investigation work and an accident earlier on. Diversion in operation - via the exit and entry slip roads. A38 Devon eastbound severe accident, near B3413. A38 Devon - All traffic being temporarily held and an accident involving two vehicles on A38 The Parkway eastbound in Plymouth near Forder Valley Interchange. 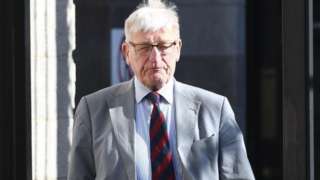 Dennis Hutchings is due to be tried for attempted murder in connection with a fatal shooting in 1974. There were 517,000 households at risk of homelessness in Devon in 2017/18, figures show. Councils in the area helped 4,872 either remain in their home or find alternative accommodation. That’s up from the 4,146 in 2016/17, and more than double the number in 2009/10 (2,097), when recent records began. Remaining cloudy overnight on Tuesday with further outbreaks of light rain or drizzle and possible hill fog. A mild night. Minimum temperature: 10 to 13°C (50 to 55F). Wednesday will be cloudy and damp for a time with outbreaks of light rain. However, the rain will move away through the afternoon, allowing spells of sunshine to develop. Maximum temperature: 14 to 17C (57 to 63F). Cornwall Council's Liberal Democrats have written an open letter to all six Cornish MPs, asking them to respond and report on the action they are taking regarding Devonwall, especially confirming their intention to vote against the cross-border seat proposed with part of Devon when Parliament votes on it. A long-lost medieval manor has been discovered at Widecombe in the Moor. North Hall Manor has been excavated on the site of an old farmyard near the church. Archeologists think it was built by a powerful Norman family in the 13th Century. It has a moat, which is particularly unusual in Devon. Looe Town Council is to act as the official organising body for the town's revived music festival, those behind the event say. The Looe Saves the Day festival from 21 to 23 September will replace the Looe Music Festival, which was cancelled after the charity staging the event went into administration last week. Organisers said they were "continuing to work with partners to develop detailed plans to manage traffic and health and safety, etc" to put on the event. Meanwhile, soul singer PP Arnold (pictured) has been confirmed as the Sunday headline act. Cornwall Council is spending £6.2m a year on education for children who do not go to school. The council commissioned a review of its alternative education provision (AEP) which is for children who do not attend school for reasons including exclusion, behaviour issues, school refusal or short or long-term illness. In neighbouring Devon, which has a larger population, there are 363 children in AEP - 0.37% of the population. A briefing for councillors highlighted some of the costs. They include providing six units across Cornwall where each pupil costs £22,000 a year; some pupils being educated in Plymouth; and £871,000 a year being spent on transport costs at an average cost of £2,240 per pupil - as most travel by taxi. A briefing heard a number of options could be considered by the council to cut costs, including taking the service back in-house, using one provider, or working with schools to provide their own AEP provision. A man is in hospital with serious facial injuries after being assaulted near Exeter Cathedral, police say. Officers said the 45-year-old local man was punched unconscious and had a bottle thrown at him during an altercation that took place outside the Tea on the Green restaurant on Cathedral Close at about 20:20 Monday. A 36-year-old local man was arrested on suspicion of causing grievous bodily harm and is in custody. A Devon kayaker has had a chance encounter with a pod of dolphins. Rupert Kirkwood was escorted across Torbay by the mammals on Monday. He said he was especially pleased to spot a small calf among them. 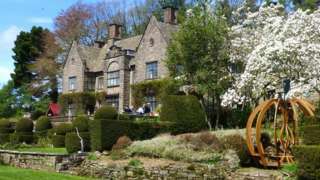 Owners of a historical Grade II* listed building lose a planning battle over roof slates. A number of Skybus flights have been cancelled due to "ongoing weather-related disruption". Passengers are advised to check their journey. 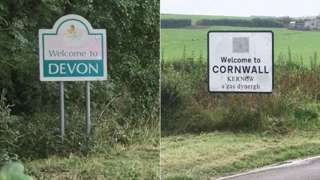 South west politicians rally against new parliamentary borders which would cross "a 1,000-year-old boundary". A man is in hospital with "serious facial injuries" after being assaulted in Exeter, police have said. It happened at about 20:20 outside Tea on the Green on Cathedral Close on Monday. The 45-year-old man was "punched unconscious and had a bottle thrown at him," officers added. He remains in hospital after having surgery. His condition is unknown. A 36-year-old local man has been arrested on suspicion of causing grievous bodily harm and remains in police custody. Exeter's Heavitree Road police station is up for sale. The joint station and magistrates' court opened in 1960 but the force said the facilities were no longer fit for modern policing. The station is next to a Waitrose store on one of the main routes into the city. 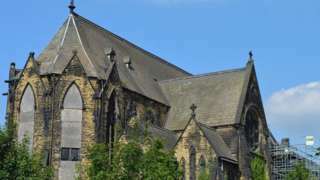 It is expected to be demolished and replaced with housing, although there is no planning permission for the site. Although the station is attached to the magistrates' court, that is not included in the sale as it is owned and run by a separate government agency. Money from the sale will go towards a new £29m police centre being built on the eastern edge of Exeter, near the force HQ at Middlemoor. It is due to be completed in January 2020 and provide a base for 450 officers. The Heavitree Road station is where church caretaker Thomas Orchard was found unconscious in a cell after being restrained in 2012 before dying in hospital seven days later. 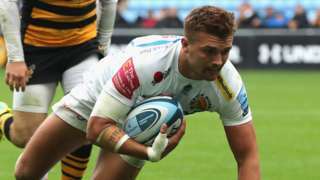 Devon and Cornwall Chief Constable Shaun Sawyer has been charged with health and safety offences in connection with the death. A plea is expected to be given at Bristol Crown Court in October.